Medina, the city in western Saudi Arabia and known as the Prophet’s city, has plenty of places for its visitors to visit and admire. Noori travels has compiled a list of must see and breathtaking attractions for the pilgrims to go and explore on their own. It is essential to know that when you book your transport for Hajj and Umrah with us, you can also sign up for sightseeing with Noori travels. This city has Masjid-al-Nabawi, located in the Hejazi region of Madinah and the third mosque built in the history of Islam, which is the burial ground for the Holy Prophet (PBUH). It is said to be the biggest mosque in the world and thousands of people from various regions in the world come to visit this beautiful mosque every year. Jannat-ul-Baqi, translated as the Garden of Heaven, is located at the southeast of the Masjid-al-Nabawi. It is the main cemetery of Madinah and it holds a very significant value for Muslims because many of the Sahabahs (around ten thousand) and relatives of Prophet PBUH are buried here. Since there are specific visiting hours for the cemetery, it is possible that pilgrims might not be able to see Jannat-ul-Baqi. Quba mosque also holds a very significant place in the hearts of Muslims because of its unique religious history. This is the place where the Holy Prophet (PBUH) spent fourteen days praying while waiting for Hazrat Ali (a.s) to arrive in Madinah. The Prophet (PBUH) also used to go there every Saturday to offer two rakat nafil and guided the Ummah to do the same as it gives sawab of performing an Umrah. Besides this, a legend has it that the masjid that its first stones were positioned by Muhammad as soon as he arrived on his emigration from the city of Mecca to Medina, and the mosque was completed by his companions. 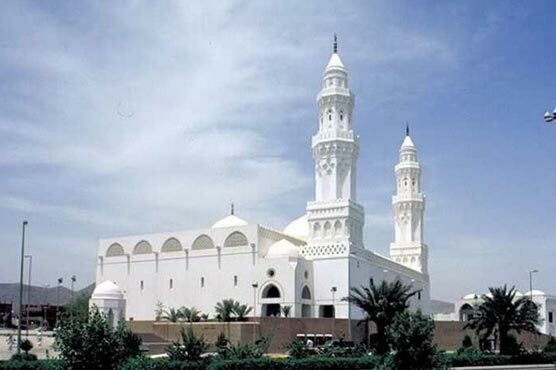 Located on the north-west of Madinah, this is the mosque where, according to the historic Islamic traditions, the direction of the Qibla was changed by the Prophet (PBUH) while he was leading the Zuhr prayers. 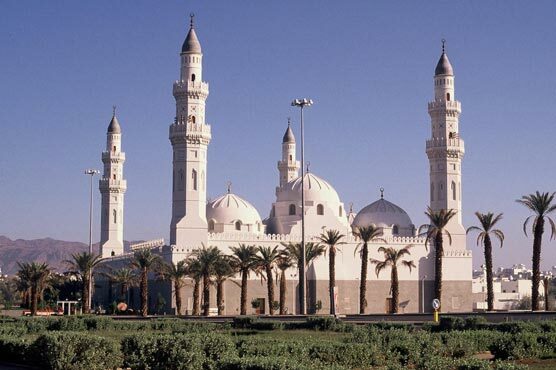 The Qiblatayn mosque is amongst the earliest mosques along with Masjid-al-Nabawi and Quba mosque. Also known as the Saba mosque is a beautiful built around the area which serves as one of the historical and archeological sites in Madinah. Founded on the western edge of Sela mountain, this mosque marks the victory of Muslims against the Quresh in Battle of Khandaq where the Muslims dug trench to defend Madina. People continue to visit this historic site from all over the world.